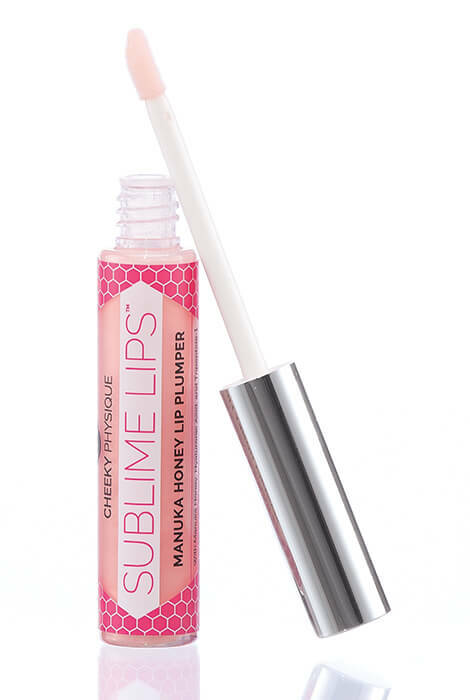 Take your natural pout to the next level with Cheeky Physique Sublime Lips™ Manuka Honey Lip Plumper. A luscious blend of Manuka honey and advanced lip plumping ingredients gives you a full, sensuous pucker without stinging or irritation. The hydrating lip enhancer nourishes your lips while giving you instant and long-term volume enhancement. In clinical tests of Hilurlip™, a proprietary blend of hyaluronic acid and tripepetide, 85% of participants noticed an immediate volumizing effect. With regular use, lips achieved up to a 30% increase in visible fullness after 30 days. The anti-aging, rejuvenating formula gives lips a shimmery finish with subtle color. Use Sublime Lips™ alone for a natural, kissable look, or use with your favorite lip color for a long-lasting topcoat. To use, apply whenever you need moisture, shine or extra fullness. You'll instantly feel a tingly, cooling sensation as circulation is gently increased to the lips. Within a few minutes, lips appear fuller and more defined. 0.34 oz. Manuka honey – Contains up to four times the nutrients of other honeys. Packed with vitamins and antioxidants to hydrate, nourish and perfect lips. Hyaluronic acid – A powerful humectant, found naturally in the skin, that attracts and retains moisture to hydrate and plump the lips. Tripeptide-1 – Supports natural collagen for visible volume enhancement. Helps protect lips from signs of aging for a smoother, younger looking pout. To use, apply whenever you need moisture, shine or extra fullness. You'll instantly feel a tingly, cooling sensation as circulation is gently increased to the lips. Within a few minutes, lips appear fuller and more defined. 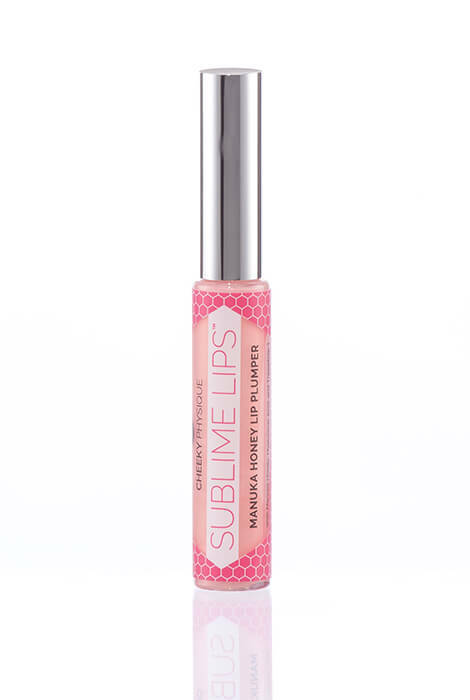 Apply Sublime LipsTM whenever you have a craving for some moisture, shine, or extra fullness. You’ll instantly feel a tingly, cooling sensation as circulation is gently increased to the lips. Within a few minutes, the lips appear fuller and more defined. This colorless, long-lasting formula matches your mood, whether you’re looking for a clear gloss or a show stopping topcoat for your lipstick du jour. With regular use, your lips will appear consistently fuller and more voluminous. The manuka honey is heaven and I love the faint taste of strawberries, however, I do not find it helpful for lip plumping. I have small lips and the older I get the smaller they look. I hope this will help some.